PT Bank OCBC NISP Tbk – OCBC NISP or referred to as Bank OCBC NISP (IDX:NISP) is a rapid sustainable growth privately-owned bank in Indonesia. The Bank is recognized as the forth oldest banks in Indonesia. OCBC was first established in 1941 as NV Nederlandsch Indische Spaar En Deposito Bank (NISP). The name of PT Bank OCBC NISP Tbk officially launched in 2008. Bank OCBC NISP is a local subsidiary company of Singapore-based OCBC Bank (OCBC Group), the leading financial services company in the South East Asia region. 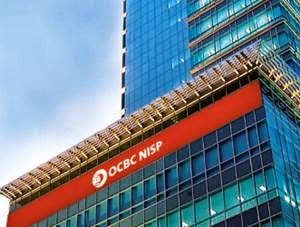 As of December 2015, OCBC Group through OCBC Overseas Investment Pte Ltd holds 85.1% shares in Bank OCBC NISP. Other 14.9% remaining shares in Bank OCBC NISP was owned by public shareholders. Bank OCBC NISP has its legal domicile in Jakarta and now has 339 office networks in 60 major cities throughout Indonesia. In term of financial positions, PT Bank OCBC NISP Tbk posted positive financial performance in the full year of 2015 (FY2015). According to PT Bank OCBC NISP Tbk Annual Report 2015 as quoted by JobsCDC.comm Bank OCBC NISP registered total net interest income of Rp 4,418.91 billion in FY2015. This reflected an 18% increase compared to Rp 3,744.69 billion in the same period previous year (FY2014). Total income for operations grew by 12.6% from Rp 1,776.70 billion in FY2014 to Rp 2,000.88 billion in FY 2015. Minimum D3 (Teller) and S1 (Service Assistant) from any field. Fresh graduate or maximum 2 years of experience. A minimum final GPA of 2.75 within 4.00 scales. Maximum age of 24 years old (Teller) and 26 years old (Service Assistant). Excellent in both interpersonal and communication skills. High work motivation and love the challenges.